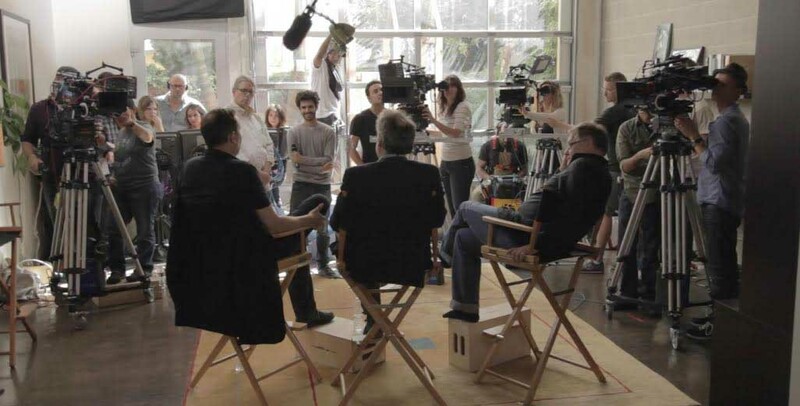 Renowned cinematographers Janusz Kaminski, Phedon Papamichael, ASC, GSC and Wally Pfister, ASC announced the launch of Advanced Filmmaking – an online series of instructional videos designed to inspire and inform aspiring filmmakers. In addition to extensive interviews with the principals, Advanced Filmmaking offers more than 12 hours of informative chats with a wide range of colleagues including Alexander Payne, Wim Wenders and others. Two years in the making, Advanced Filmmaking distills the advice of three respected filmmakers. The trio met at the dawn of their careers making low-budget films for Roger Corman. Since then, Kaminski has made more than a dozen films with Steven Spielberg, earning two Oscars along the way. His credits include Schindler’s List, War Horse, The Diving Bell & the Butterfly and Lincoln. Papamichael, an Oscar nominee for Nebraska, has more than 40 narrative credits with top directors like Payne, Gore Verbinski, and James Mangold including Walk the Line, The Descendants, The Ides of March and Sideways. Pfister, a four-time nominee, won the Oscar for Inception, the culmination of his collaboration with director Christopher Nolan, which has also produced Batman Begins, The Dark Knight, The Dark Knight Rises and Memento. Pfister made his feature directorial debut last year on Transcendence. The Advanced Filmmaking website covers topics like getting started, building your career, equipment, postproduction, collaboration and personal life. Interview subjects include experienced filmmakers in a range of disciplines like producer Ron Yerxa (Little Miss Sunshine, Cold Mountain, Little Children, The Ice Harvest, Nebraska); showrunner/writer Glen Mazzara (The Shield, The Walking Dead); editors Michael McCusker (Identity, Walk the Line, 3:10 to Yuma, Knight and Day) and Kevin Tent (Election, Sideways, The Descendants, About Schmidt, Nebraska); gaffer Rafael Sanchez (veteran of more than 20 films with Papamichael, plus many more); and key grip Ray Garcia (veteran of many major productions with Papamichael, Pfister and other top DPs). A seminar highlighting the rollout is planned for this year’s Camerimage International Festival of the Art of Cinematography, held annually in November in Poland. Papamichael and Kaminski are slated to attend. For more information, visit advancedfilmmaking.com.